Block N Load - our block-building FPS - has left beta and hit Steam as a full release! 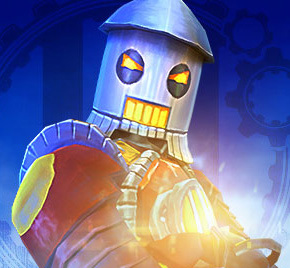 To celebrate, everyone who plays five Block N Load matches between 1st May and 10th May will get an exclusive Cogwheel outfit to show off in RuneScape, as well as a 'Dwarven Warsuit' Cogwheel skin for Block N Load itself. You can also try out the Prifddinas arena – debuting in Block N Load from the 8th of May as a tribute to RuneScape. Visit the legendary lost city of the elves...then blow it up! With a free Steam weekend running from today until the 3rd of May, there's no reason not to jump in and give it a go. Please note: you'll be asked to provide a valid email address from within Block N Load to receive the RuneScape in-game rewards. Once you've completed your five matches, we'll email you a code to redeem on the RuneScape website. 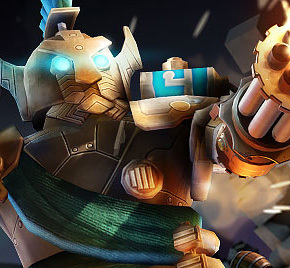 What is Block N Load? Five of you. Five of them. Face off in a tactical multiplayer FPS where brains are as important as bullets and everything you build, destroy, or shoot has a devastating impact on the entire battle. Build your defences and charge into action to destroy theirs. Tunnel under the map or catapult over it - they'll never see it coming! Ready up! It's time to Block N Load. Check it out on Steam, and play free from today to 3rd May! Take some time this weekend for some free block-building mayhem, and enjoy these exclusive rewards while you're at it. Let us know your thoughts below! Well, what do I have here? Either way, work on your skills while downloading it. Another 'Minecraft' FPS.... How could this go wrong? I'm pretty sure we've already seen something similar to this before, Ace of Spades it was if I'm not mistaken, what happened to that game? Surely if the last one failed, this one can't. Ah... Another Transformers Universe. As Deamonheinz said, please keep work to improving Runescape. That is the game I play and will be the only Jagex game I play. Thanks for your thoughts. It's important to emphasise that Block N Load is a completely separate studio to RuneScape, and this particular event has taken up no development time our end.